Several weeks ago we wrote about Ranbaxy Laboratories, an Indian pharmaceutical company that exports millions of dollars worth of drugs annually into the United States. A former manager-turned-whistleblower brought a False Claims Act case against the company. 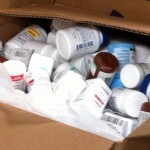 He accused the company of selling misbranded and adulterated drugs. Ultimately, Ranbaxy paid $350 million in fines and penalties to Medicare and several states. The whistleblower, Dinesh Thakur, received $48,687,254.01 for his information. Since that post, we have heard from several people in the pharmaceutical industry. The violations at Ranbaxy – called cGMP or “current good manufacturing practices” violations – are apparently not isolated. We have heard that other Indian pharma companies are still suffering from cGMP problems, companies like Aurobindo, Cipla and Biocon. Are these companies guilty of producing bad drugs? Who knows and that is part of the problem. Although the FDA has stepped up inspections in India, foreign inspections are not surprise visits like they are in the U.S. Inspections in India, China and other countries have to be coordinated and planned months in advance. That gives some companies time to clean up for the inspection. Economist magazine ran a story last year about an FDA visit at Dr. Reddy’s, one of the largest drug manufacturers in India. (Dr. Reddy also manufacturers in Mexico). The journalist was present while workers were busily scrubbing walls and cleaning in anticipation of a planned FDA inspection. We spoke with one Indian pharma executive who admitted that quality falls immediately after the FDA completes an inspection. Anecdotally we heard from one pharma quality control consultant who tells the story of leaving a computer at a Chinese facility and going back the next day to retrieve it only to see the “factory” being dismantled. An article by Reuters in 2013 reports that Indian pharma company Wockhardt Ltd found “torn data records in a waste heap and urinals that emptied into an open drain in a bathroom six meters from the entrance to a sterile manufacturing area.” That same inspector also found “unlabeled vials in the laboratory glassware washing area.” When a plant worker was asked about them, the worker simply dumped them down a sink and said the contents could not be determined. These violations involve more than greed and profits. They potentially endanger human lives. The plant where a Wockhardt worker found unlabeled vials manufactures insulin. One manufacturer of Budeprion (generic Wellbutrin) reportedly sold drugs that made patients suicidal. cGMP violations and adulterated drugs occur every day. Very few manufacturers are ever held accountable, however. Fortunately, the federal False Claims Act can pay whistleblowers a percentage of whatever the government collects from wrongdoers. Rewards are available to people anywhere in the world and regardless of citizenship. 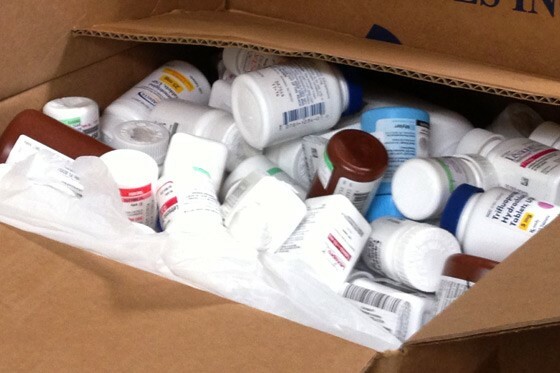 To qualify an award, one must show that adulterated or misbranded drugs were sold in the United States and that those drugs were paid in part by Medicaid or Medicare. In other words, an Indian pharmaceutical company selling drugs only in India would not qualify for an award. Unfortunately, the U.S. government’s strong anti-retaliation provisions are of limited utility outside the United States. We feel, however, the monies paid by the government (up to 30% of whatever is collected) offset the risks of retaliation. More importantly, we feel that coming forward is simply the right thing to do. Having corresponded with Mr. Thakur and having represented many whistleblowers, we can say with certainty that very few are motivated by money. Most simply believe it is their duty to speak up for patients, to prevent fraud and fight for what their beliefs. The money is important but secondary. or by telephone at (US)(414) 704-6731 (direct). All inquiries protected from disclosure. Mahany & Ertl – America’s Whistleblower Lawyers and proud supporters of the Pharmaceutical Integrity Coalition.